Marco is a sucker for barbecued ribs. Matteo is a sucker for Ray-Ban sunglasses. I don't know why Debbie never takes a vacation. She’s a sucker for punishment, I guess. For me, I’m a sucker for bakeries. I love the smell of freshly baked bread or simply looking in pastry shop windows. Most of all, I love eating pastries. Americans often look for opportunities: If they like something, they feel others might like it too, including their pets. With this attitude, the dog bakery was born. Do dogs have a weakness for bakeries? They must, because canine pastry shops have sprung up (grown) in cities all across the US. 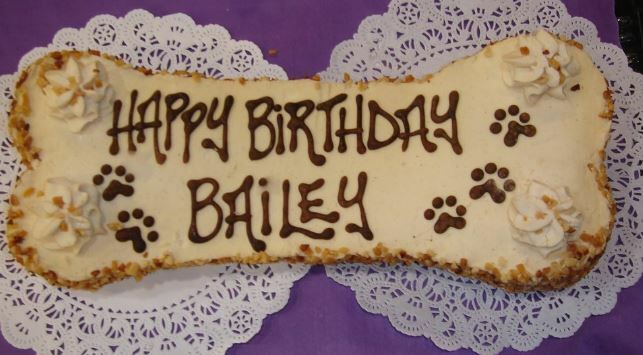 They have very funny names too, like Doggie Bistro, Petlicious Dog Bakery, The Barkery, and more. Pet owners care more about the quality of food they feed their animals because often store-bought treats have a high amount of sugar, preservatives, and chemicals. 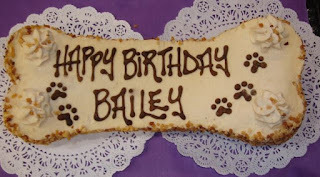 Dog-friendly ingredients are typically natural or organic products, such as peanut butter, oats, whole wheat flour, or carob (no chocolate for dogs), so this is the main reason for the popular dog bakery trend. In addition, there are some very attractive choices to treat your pet. Think doggie donuts, birthday bones, doggie cannoli, or puppy peanut butter cups. Who can resist?